The Kirk Family is a 5th generation Florida fishing family with deep seated ties to the Southwest Florida community. Kirk Fish Company was originally opened in the early 1950s, after years of the family owning and operating it, the fish house was leased out for nearly a decade to another prominent local fisheries. Damas and Pat Kirk decided to take back over the fisheries after selling their well-known retail seafood market in Naples, Captain Kirk’s Stone Crabs. With their daughter Kelly, the family reopened Kirk Fish in October of 2013 and started off with a bang! Our goal is to keep the commercial fishermen alive and provide the public with only the freshest local seafood. No farm- raised, no imports (except our killer Salmon and Dry-pac sea scallops). We are home to several commercial boats that keep our retail market supplied with their daily catches. Our main catch is Stone Crabs, we catch them, cook them, and crack them for you! You’ll also find fresh Grouper, Snapper, Drum, Sheepshead, Mullet, live Blue Crabs, Gulf Pink Shrimp and a variety of other local delicacies. Come by Goodland to see us and the new and improved Kirk Fish. We are Fresh from Florida and HACCP certified! Sunday. We purchased from Kirks..2 wonderful fresh grouper filets..4 large Scallops and 1lb of fresh shrimp. That we steamed and cleaned with the shell on…it has been wonderful making your fresh fish etc. Thank you. We need to look into having your items shipped to Chicago. 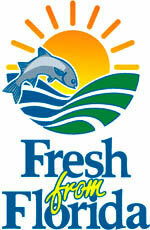 We are Fresh from Florida and HACCP certified!